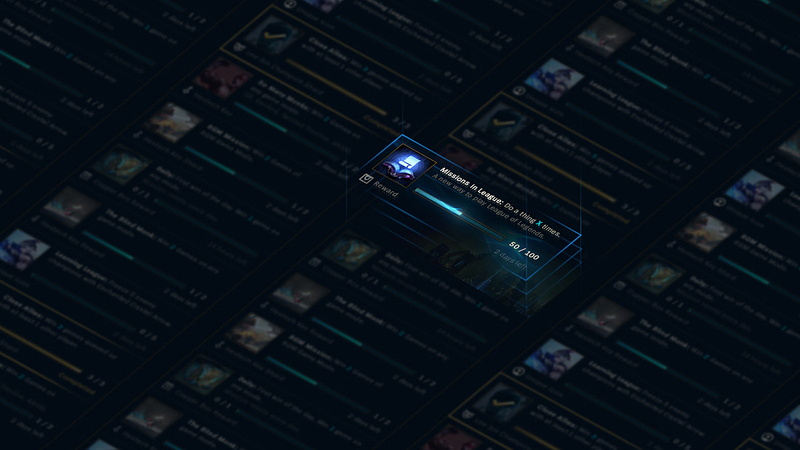 Tonight's small red post collection includes a look at Meddler's gameplay thoughts for October 6th, a new /Dev on Missions and what Riot feels they did wrong and what they did right, as well as future mission plans, and more! 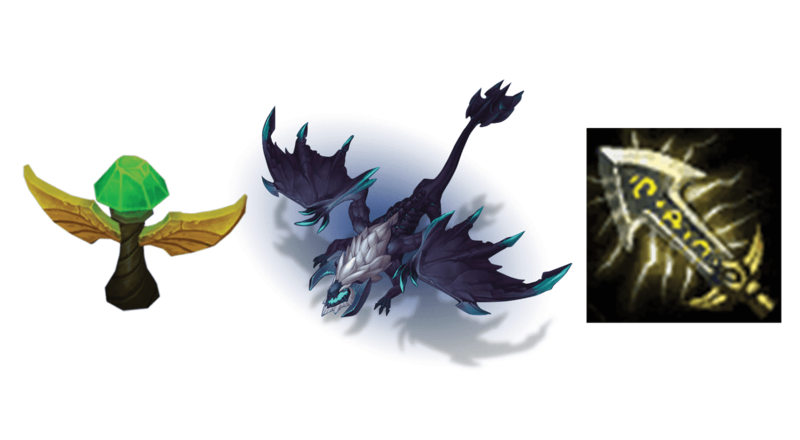 While most of our focus is on pre-season and beyond now we've still got some balance changes, or at least investigations, coming in 7.21 where we're confident changes won't be rendered irrelevant or inappropriate by pre-season's impact. Short versions of some of those below, more details to follow next week. Why not buff ratios/nerf bases? 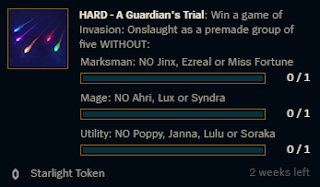 Often, as in cases like this, we don't want to impact a champ's power as a support. 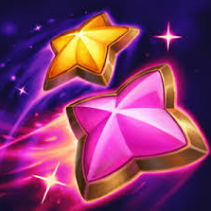 If we're just buffing ratios that buffs support too, if we're also nerfing bases that generally nerfs support, at the very least at some points in the game. Ratio power is more snowbally than most other power, given its gold dependence. If you want to add snowball to a champ it can be the right call, if you want to add reliability it often isn't. 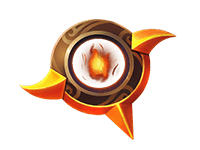 Sometimes extra damage isn't the appropriate sort of power to add to a champion and ratio buffs aren't a good tool to offer some sorts of power (e.g. some things don't scale smoothly like ability resets, or have limits they shouldn't be pushed past like CC durations). For anyone that hasn't seen it and is interested in how we're hotfixing more nowadays I'd highly recommend giving Maple Nectar's post from the start of the week a read. It goes into some depth as to why we're hotfixing more than we used to (TLDR = improved micropatch technology), why we do such patches in the first place and the trade off of reacting to problems quickly versus waiting on additional observations and data. While we’re getting close to locking down all the runes for ship we’re still experimenting with somewhat different directions for a few to try and solve some remaining problems. 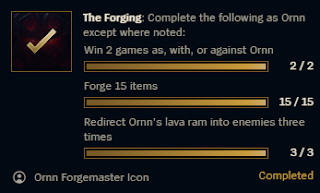 Odds are high you’ll see alternate versions of some Runes, Press the Attack and Presence of Mind especially, on PBE at some point. Not guaranteed we’ll stick with the new versions of course, might try something new again or go back to the old." Speaking of worlds. Do you think Galio still needs more nerfs to get him out of proplay? Or are you gonna wait for that mini rework before doing anything. It's really disheartening as a Galio main to see him sitting in the bottom 5 of mid and top lane winrates while still being nearly pick or ban in competitive play. I think he needs to be sharpened a bit so he's not such a consistently good pick, with clearer strengths/weaknesses game to game. That should help get him out of pick/ban in pro and allow us to put some more power into him for regular play. In terms of changes we're looking at a bunch of number adjustments, not a mini rework (shifting power around rather than changing functionality)." "We think Brand is, and should be, a mage. We'd like to see players able to play him effectively in multiple positions, and both his support and mid lane play seem to have appropriate counterplay and interesting choices." "We'll continue to update some of them gradually over time when icon artist bandwidth permits (a lot's been going to Runes for a while now). We don't want to change too many item icons at once however either because it can be pretty disruptive glancing at the scoreboard and not being able to recognize a lot of stuff at a glance. We prefer a gradual approach as a result." "I think anti carries in general (assassins, divers, some pick mages) are struggling a bit at the moment, some exceptions. Biggest issue there I believe is the amount of survivability that can be stacked on, or offered to, their targets, more than their personal damage output. Locket's one of the big offenders there and we'll be making some changes to that soon or soonish. As with everything else we'll also need to see where things settle once pre-season's out, and whether even more help than already planned is needed or whether the changed state of the game's corrected things at least somewhat." 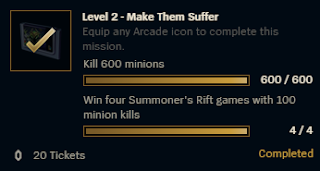 Also, I know preseason is looking towards new runes but are you possibly looking into maybe AP itemization as well? If not preseason, sometime afterwards in season 8? We're planning to do a pass on AP itemization sometime early in Season 8. 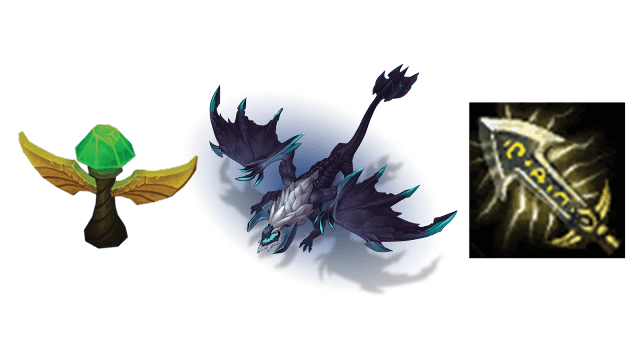 First priority will be getting pre-season stuff balanced and further polished, after that though we'll be looking at a few other things, AP items included." Here's Riot Mort with a new /Dev on Missions, including what they think they got right and what they got wrong with them. "Hey everyone. 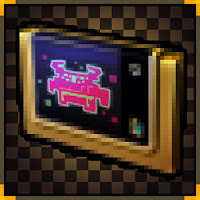 I’m Riot_Mort, one of the game designers who have been working on event Missions! Since we launched the system, we’ve tried a variety of different mission types. I wanted to go over some of our big takeaways, struggles, and where we’d like to go moving forward. If you have any questions or feedback, we love hearing it (really)."